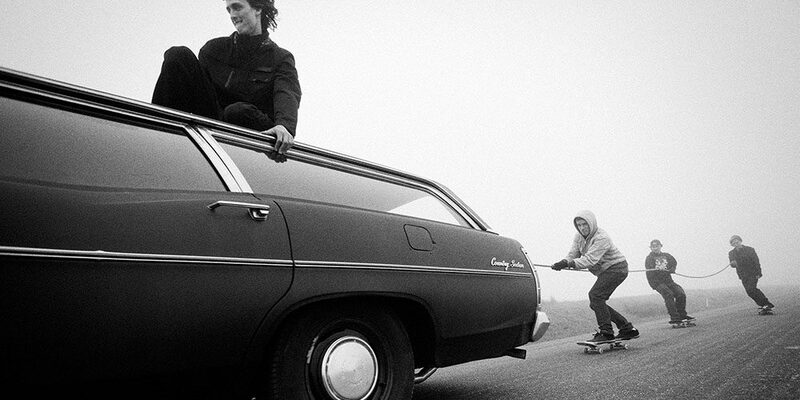 Thomas Campbell is set to release a photo book and skate film in December. Shot on 16mm film, Ye Old Destruction will feature an extremely heavy cast including: Evan Smith, Rick McCrank, Max Schaaf, Dennis Busenitz, Tony Trujillo, Arto Saari, Elissa Steamer, Ray Barbee, Omar Salazar, Aaron Suski, Mark Suciu, Raven Tershy, Barker Barrett, Chico Brenes, Louie Barletta, Stefan Janoski, and more. The film is set to be scored No Age, and will only be available via a download code that you will get with the purchase of the book that will feature photos by Campbell, Brian Gaberman, Jai Tanju, Arto Saari, French Fred, and Anthony Acosta. Monster Children caught up with Campbell for in interview to learn more about this forthcoming project. Anyway, skateboarding is at a really great point, and [this film] is almost a celebration of what it is. Head over to Monster Children to read the entire piece.